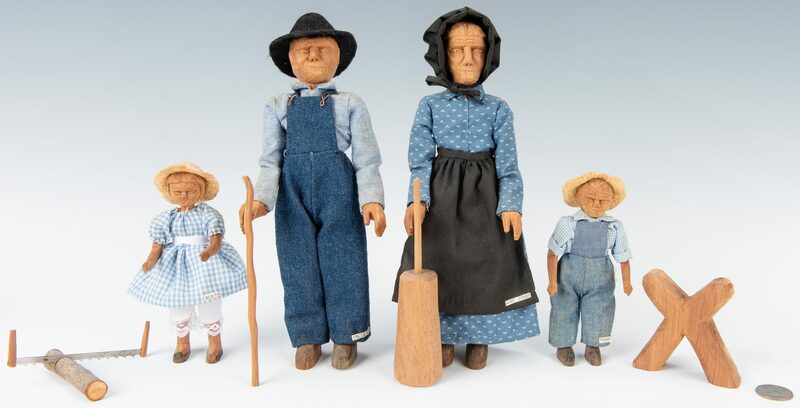 Group of four (4) carved Southern Folk Art dolls by Polly Page (Tennessee, b. 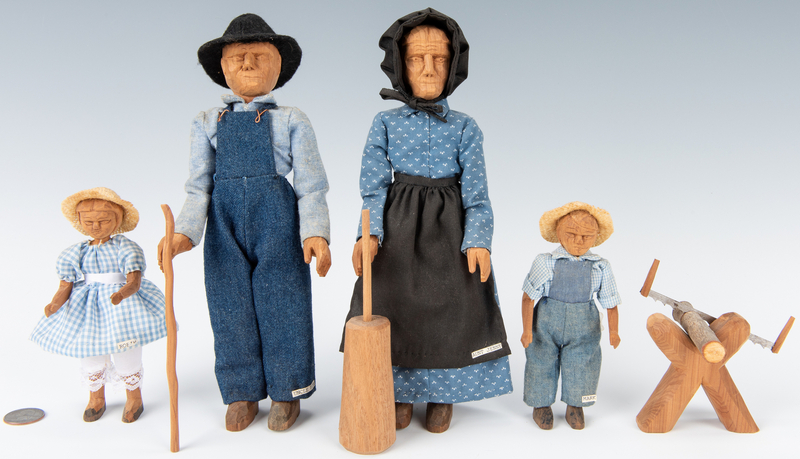 1918 ) depicting a pioneer family including a father, mother, son and daughter all attired in cotton clothing. 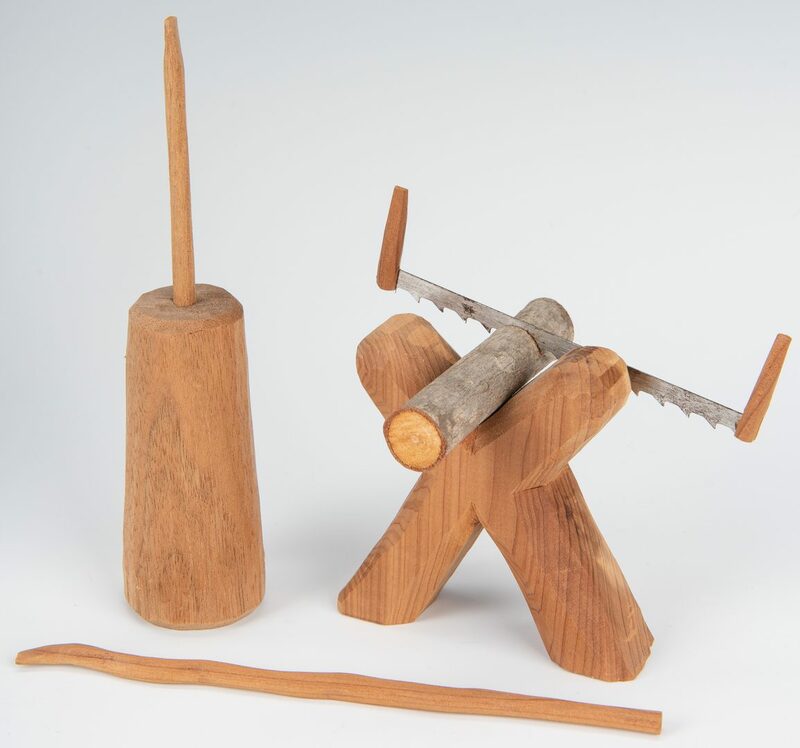 A carved sawhorse with log and saw, cane and butterchurn are also included in the grouping. 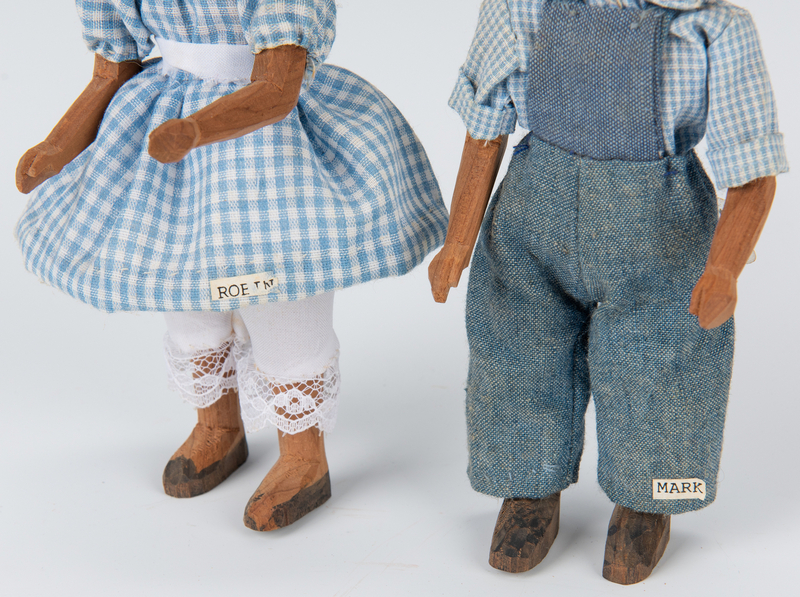 Both adult dolls signed on the bases of the feet. 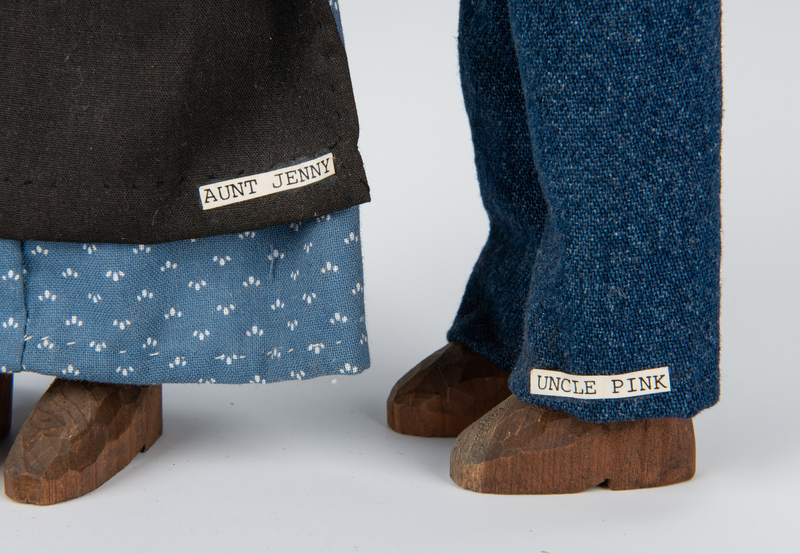 All with "Polly Page/Mountain Craft/Pleasant Hill, Tenn" tags. 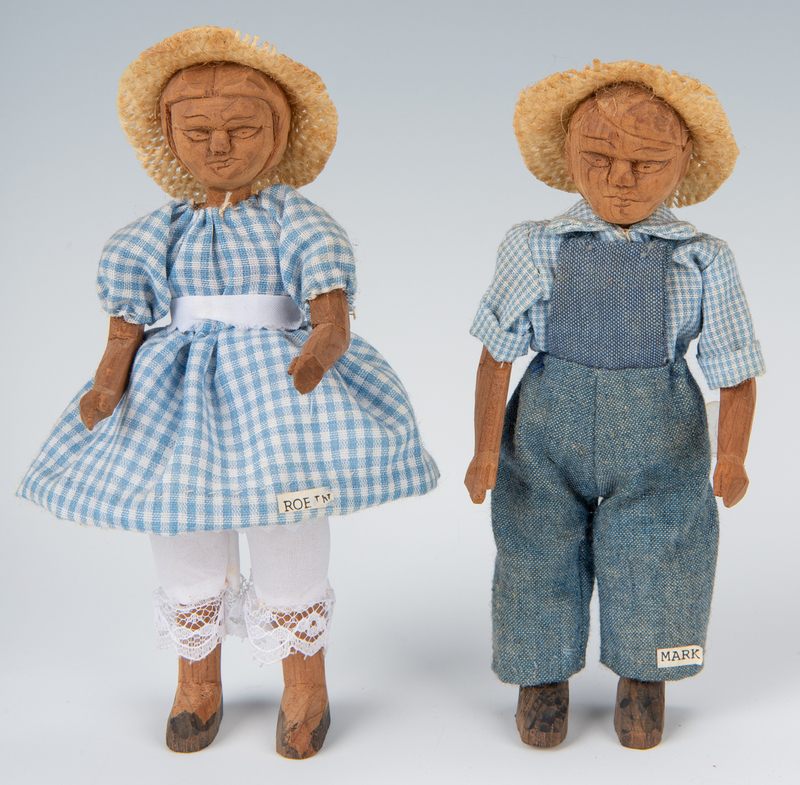 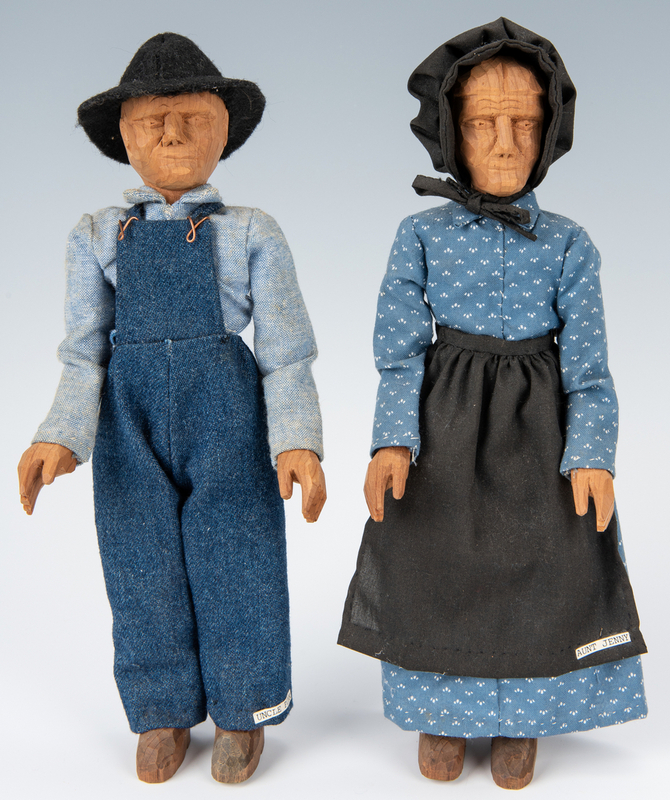 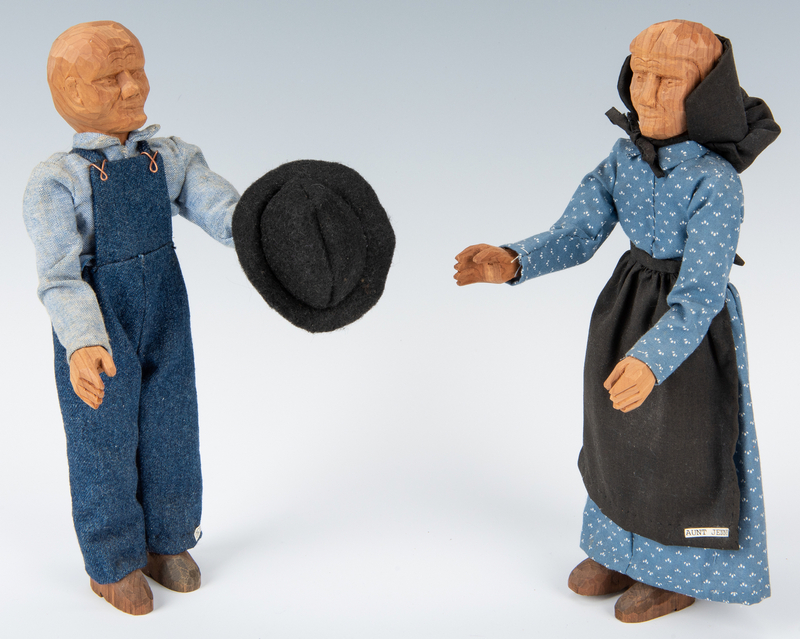 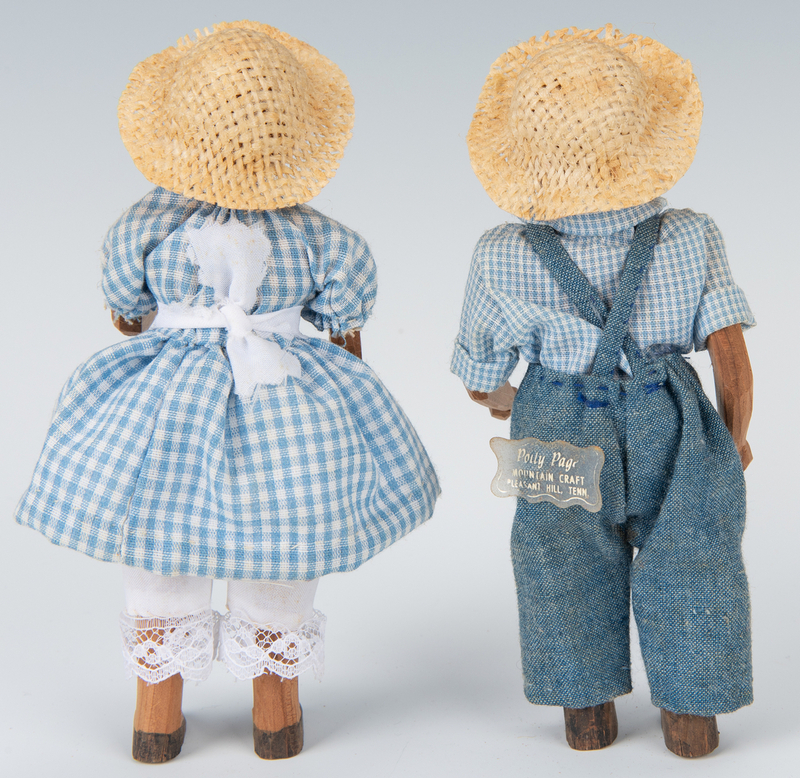 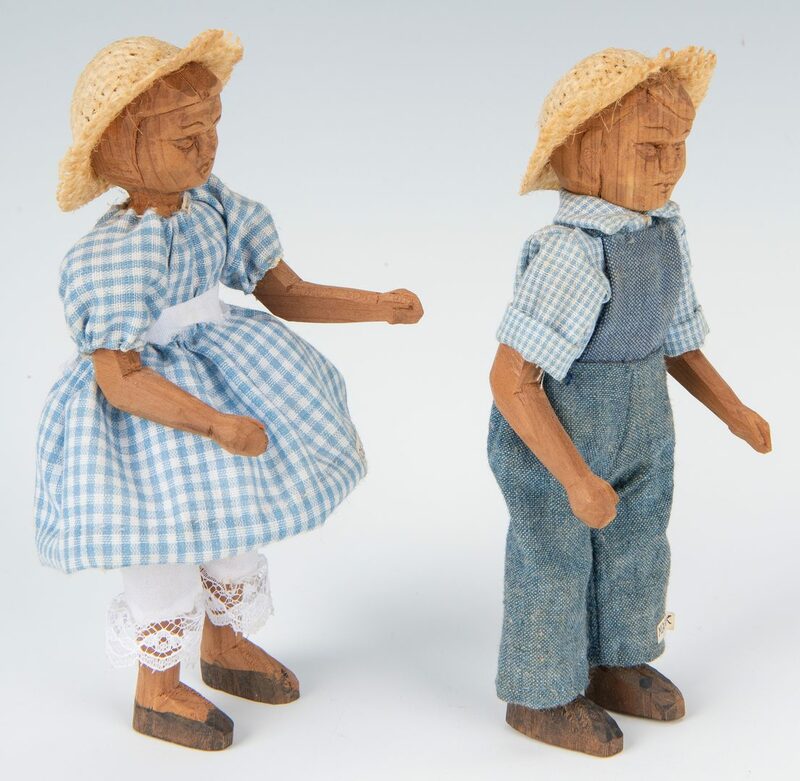 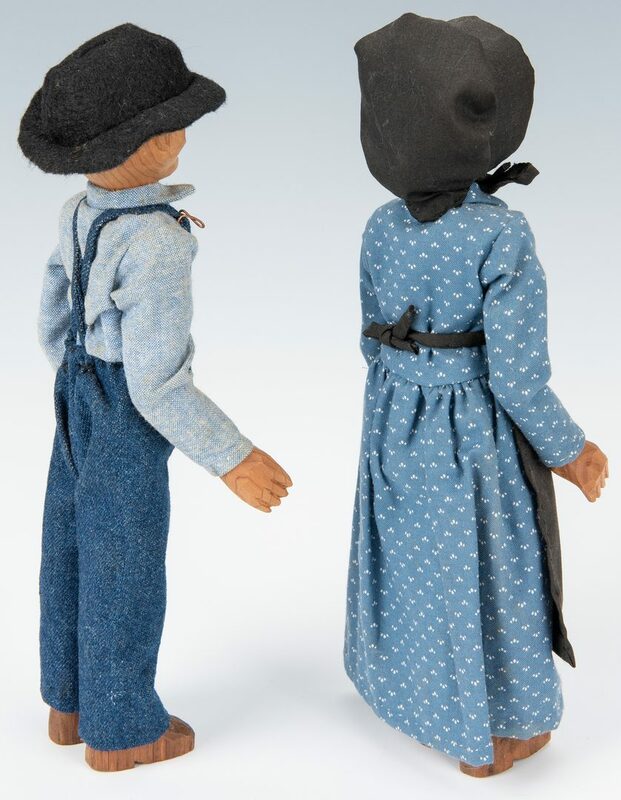 Dolls range in size from 5 1/2" H to 10 1/4" H. 20th century. 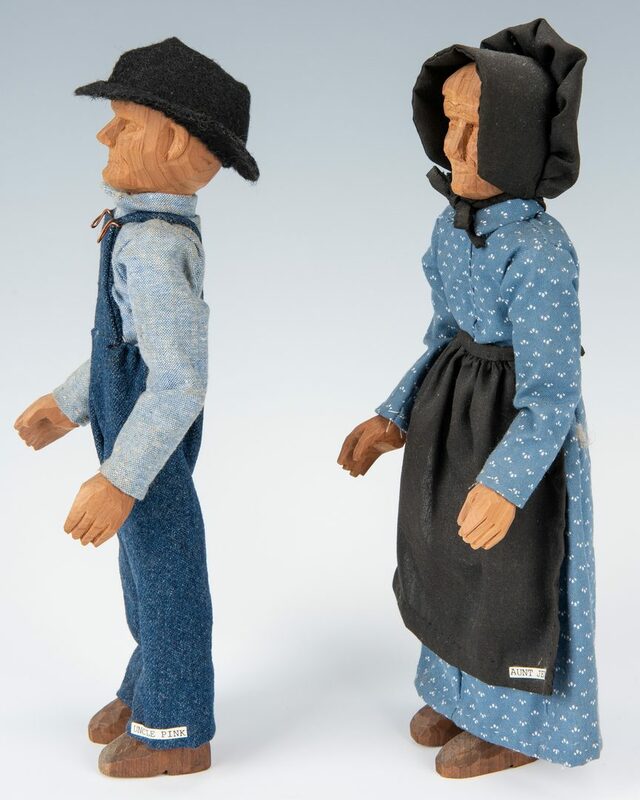 Provenance: Private Nashville, TN collection. 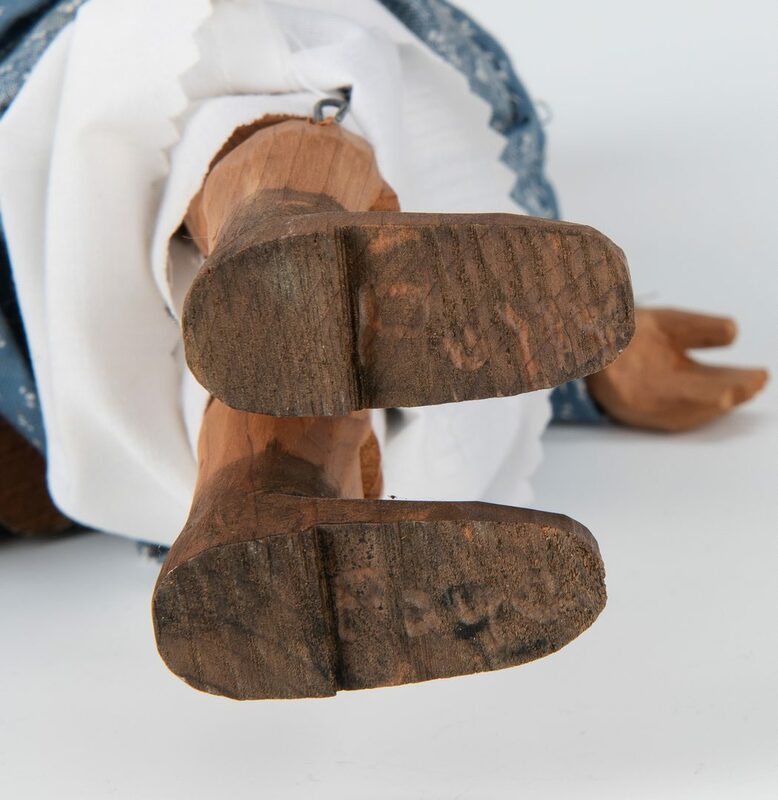 CONDITION: A pieces overall very good condition.